« Cleanliness Is Next to —————. 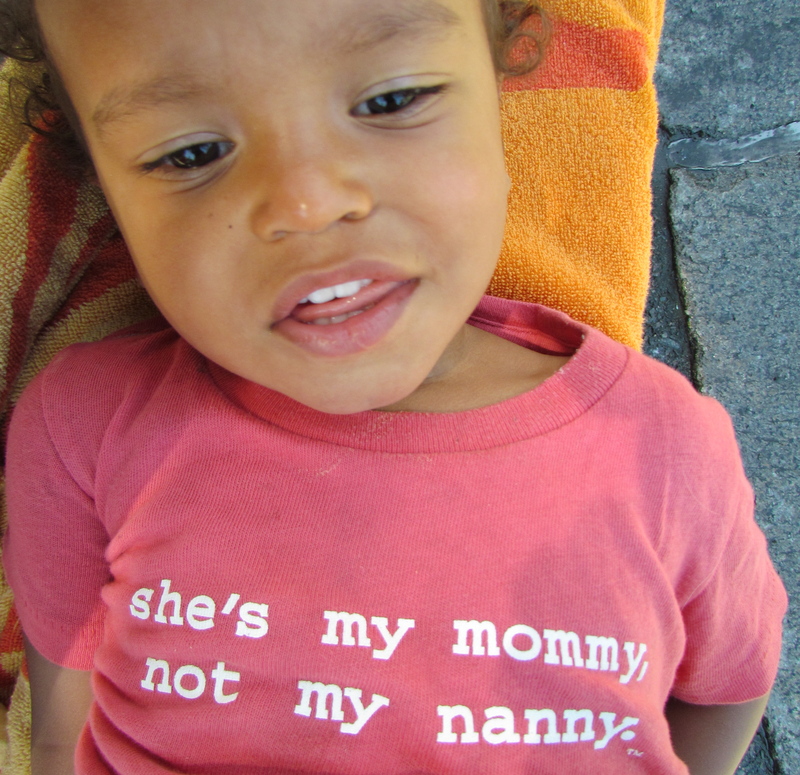 A while back, I bought Satchel a t-shirt that reads “She’s My Mommy, Not My Nanny.” It’s a funny shirt. What’s funnier is that because I’m an overextended working mother, and because I don’t pay much attention to what I yank from Satchel’s drawer in morning rush to get him dressed, he is much more likely to be wearing the shirt when he’s with Jana — our, um, nanny. Which means that in addition to people not thinking I’m Satchel’s mother when I’m out with him, people generally think Jana is his mother when she’s out with him and he’s wearing the shirt. Being hip and ironic about your mixed-race family is complicated. If you’re interested in these shirts, you can purchase them from the Swirl Syndicate. They’ve got a bunch of new styles, too. The line-drawn blender is my favorite!! This entry was written by caramels on maple street, posted on – Jul 5 at , filed under family. Bookmark the permalink. Follow any comments here with the RSS feed for this post. Post a comment or leave a trackback: Trackback URL.